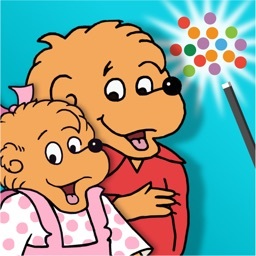 In The Dark, Berenstain Bears by Wanderful, Inc.
"Parents for two generations are familiar with the late Stan and Jan Berenstain's Bears and their over 200 books. 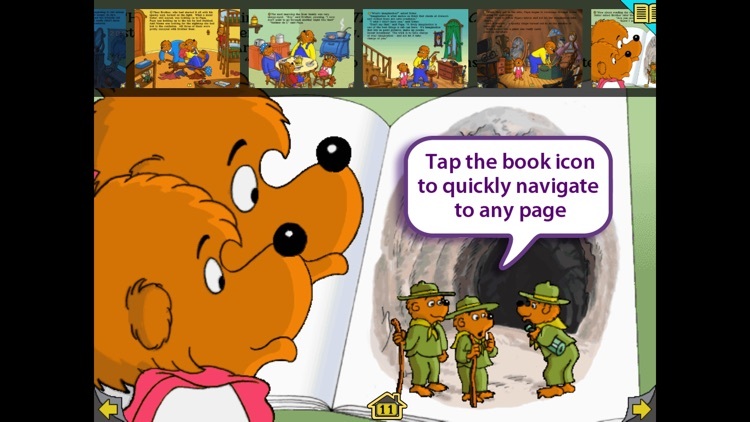 Wanderful enlivens those classic stories, creating a rich resource for developing reading skills in an animated interactive app. 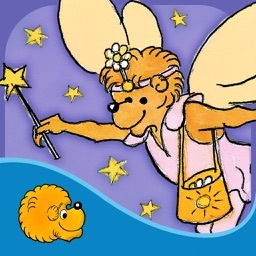 Kids from 2 to 8 will identify with Sister Bear's battle with her fear of the dark in The Berenstain Bears in the Dark. Wanderful offers a superb level of interaction with a well-designed app loaded with varying levels of skill development and simple fun appropriate for eager 2 year olds up to age 8." 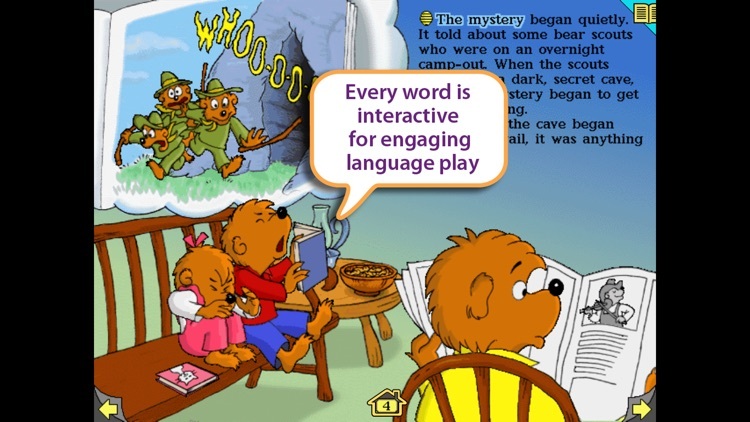 Have you ever wished you could play inside a story and really interact with all the characters and words? 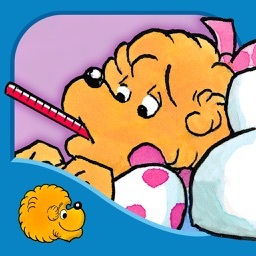 Now you can! 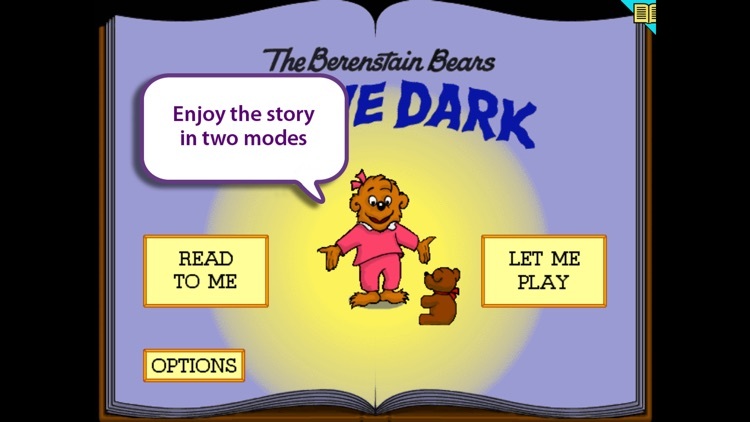 The Berenstain Bears In the Dark is an imaginative interactive reading experience with fully animated content featuring the popular Bear Family – Mama Bear, Papa Bear, Brother Bear, and Sister Bear. 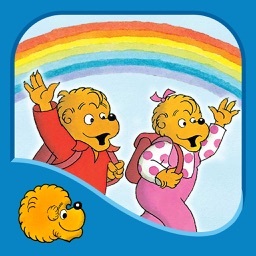 This timeless Stan and Jan Berenstain story springs to life on every page. Read and play along as a spooky story Brother Bear reads to Sister Bear keeps her – and eventually the entire family – up all night long. The next day Papa shows Sister how to take charge of her imagination and in the end it’s Brother who is a little afraid in the dark. 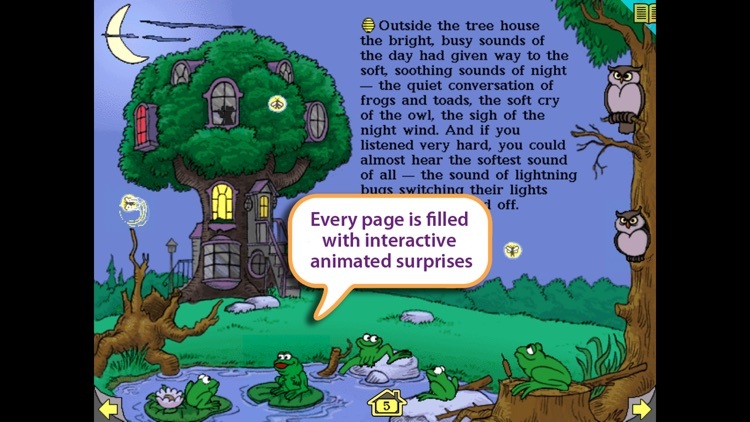 • A hidden surprise is on each page – can you find all the lightning bugs? 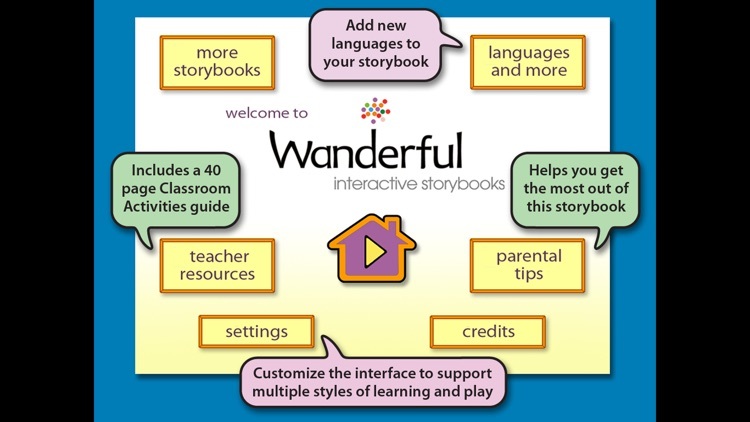 Wanderful’s goal is to help children discover a lasting love of language through story exploration. 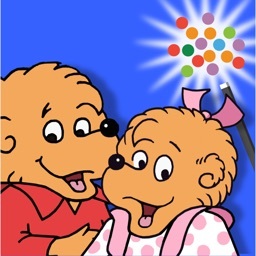 We hope The Berenstain Bears In The Dark provides your family, children and students with hours of delightful story play. 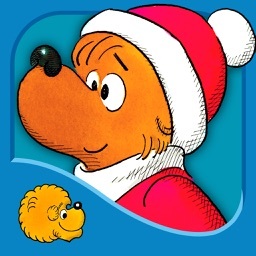 The Berenstain Bears In The Dark is by Stan and Jan Berenstain, authors of over 200 books starring the Bear family: Mama, Papa, Brother and Sister.